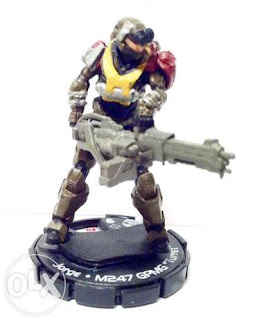 Many of you will be able to get your Spartans from Ebay and Halo Actionclix (or Heroclix) booster packs, but one of the most important weapons of the game is very difficult to obtain: the M247 GPMG Turret. 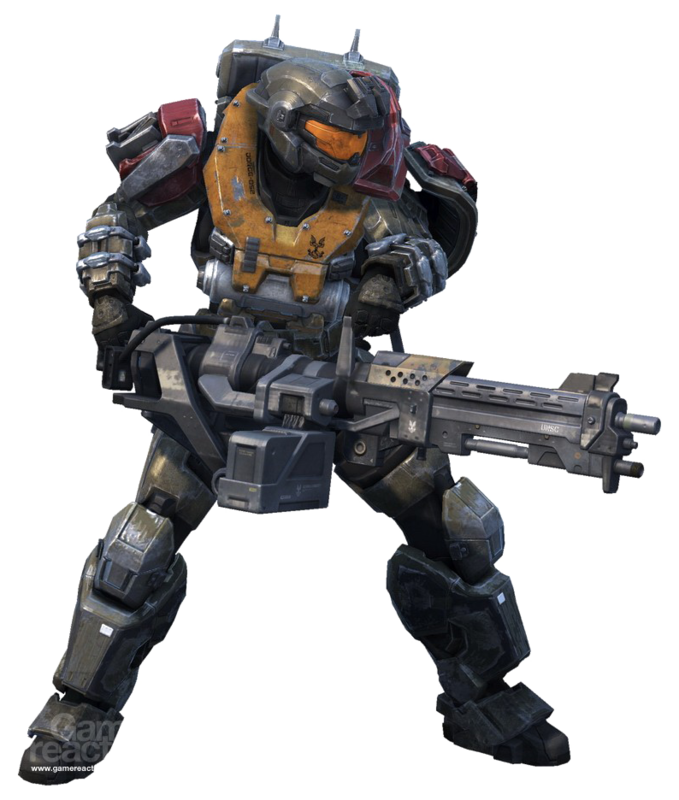 In an ideal world you would be able to get some extra miniatures of Jorge (from the halo reach set) and painted to fit into your Spartan squat. Whoever, the halo reach set is one of the most difficult of find (if ever) on Ebay and can be very expensive. Looking for options I check into the amazing Infinity miniatures range and find the special deterrence group azra'il. 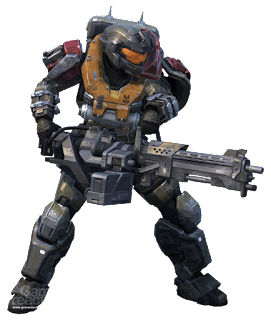 This is a model that has a similar weapon to Jorge and an armor that can be similar to an MJOLNIR Powered Assault Armor. So I got one (from Dark sphere, London), and using an extra Spartan model I have I got a new replacing head for my new miniature. With some green stuff I sculpted a nect (and check that the head fit) and then painted it black and then blue (later I will do the same for my red team). This is how I manage to get a new and impressive Spartan with heavy turret weapon ready to join blue team. Halo mega blocks in your table-top games?